Sleep needn't be the enemy. ResMed has unveiled its second top-of-head-connected CPAP mask for treating sleep apnea, a new nasal pillows option, AirFit P30i. 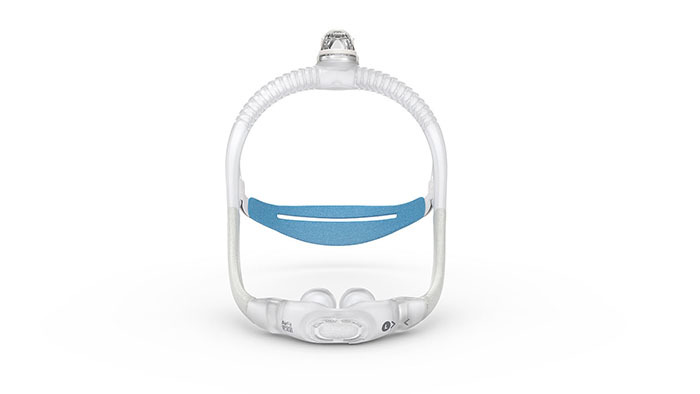 The mask’s “tube-up” connection, also featured on ResMed’s AirFit N30i nasal mask released in January, keeps tubing out of the wearer’s way so they can move and sleep in any position. According to ResMed, AirFit P30i fits 90% of wearers with its two frame sizes and three cushions, helping home medical equipment (HME) providers fit patients easier and faster. 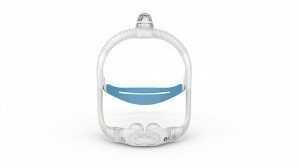 CPAP users preferred AirFit P30i nearly 2 to 1. More than 70% whose preference was based on mask seal preferred AirFit P30i. Twice as many reported AirFit P30i is easier to use and more comfortable. As of April 15, AirFit P30i is available throughout the United States, Canada, Europe, Australia, and New Zealand. It will be available in other countries later this year. The mask joins ResMed’s portfolio of 30-plus CPAP masks, including its “tube-down” nasal pillows mask, AirFit P10, winner of the international Red Dot product design award. Elly Mackay © 2019. All Rights Reserved.